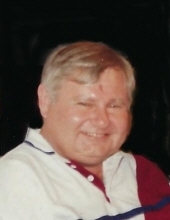 His Legacy… David John Shubert, Age 75, passed away April 9, 2019. He was born on March 18, 1944, in Dearborn Heights, Michigan the fourth of five children born to Edward and Jennie (Kazmerski) Shubert. David worked for Ford Motor Company in Saline for many years retiring in 2003. He loved nature and living on the property where he built his house. He will be remembered as a very giving and loving person who was always thinking of others. If someone was in need of help or needed anything, David was there to provide it. He will be missed by all who knew and loved him. His Family… David will be missed by his son Kelly (Kimberly Deljevic) Shubert, siblings Margaret (Vincent) McShane, Edmund (Marie) Shubert, Virginia (Robert) Walby, and Donald Shubert. He is preceded in death by his parents. His Farewell… David’s family and friends will gather Friday, April 12, 2019 from 5:00 pm – 8:00 pm at Borek Jennings Funeral Home, Braun Chapel in Brooklyn. His Farewell will be held on Saturday, April 13, 2019 at 12:00 pm at Borek Jennings Funeral Home where he will lie in state from 10:00 am until time of service at noon. Burial following at Highland Cemetery in Brooklyn. Please leave a message of comfort for David’s family at 1-877-231-7900, or sign his guestbook at www.borekjennings.com. To send flowers or a remembrance gift to the family of David John Shubert, please visit our Tribute Store. "Email Address" would like to share the life celebration of David John Shubert. Click on the "link" to go to share a favorite memory or leave a condolence message for the family.